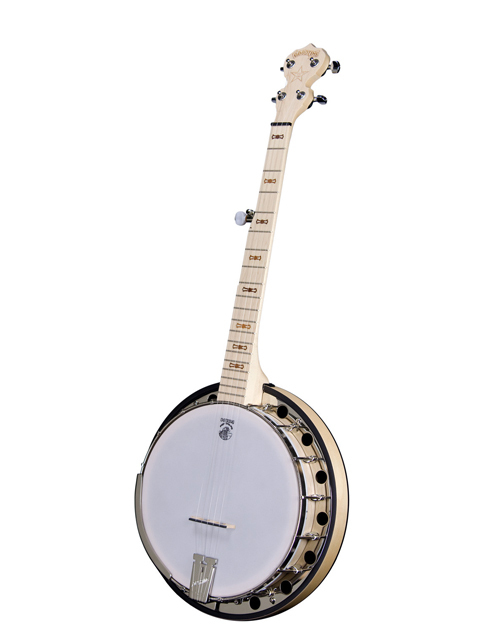 A small 5-string banjo for travel, teaching children or for simple enjoyment by anyone, the Goodtime Parlor is just plain cute. It is tuned in G just the same as a 22 fret banjo, but it is 4 inches shorter with only 19 frets. A small 5-string banjo for travel, teaching children or for simple enjoyment by anyone, the Goodtime Parlor is just plain cute. It is tuned in G just the same as a 22 fret banjo, but it is 4 inches shorter with only 19 frets. Great for teaching youngsters to play! Get them started early with a banjo they can manage and you give them a lifetime of enjoyment playing the banjo. The Goodtime Parlor is affordable and is made in the USA with quality parts and designed to play right so learning is fun and easy. Whether you have big or small hands, it is fun to play. Openback Tone: Easy to play with clarity of note separation and round full bodied tone. This is a great banjo for sitting on the couch and relaxing or travel. Also for the very young beginner. The same great rim and pot, with a shorter neck.